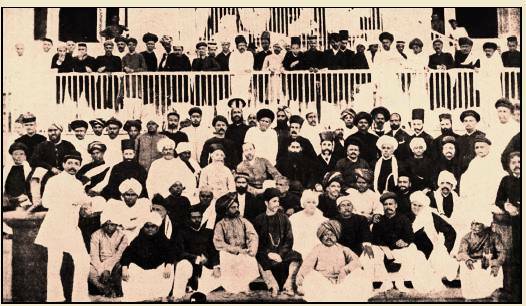 Founded by A. O. Hume (British) in association with various national leaders in 1984 and called for conference in Pune in 1985. Named this organisation "Indian National Union". Later its name changed to "Indian National Congress" as suggested by Dada Bhai Naoroji. Venue of 1st session was shifted from Pune to Mumbai due to outbreak of Cholera at Pune. 1st session held in December 1985 in Mumbai, it got unanimous support of all Indian Leaders. 1st session was attended by 72 Delegates from all over India. In this session Indian National Congress decided to meet every year. With the foundation of INC, the struggle for "Indian Independence" became an organised movement. Below is the list of 20 Most Important Congress Session of Pre-Independence India. Vande Matram 1st sung by Ravindra Nath Tagore (Annand Math Novel). Merger of Moderate and extremist, Lucknow pact between congress and League. Maximum Number of Congress session held in Calcutta.